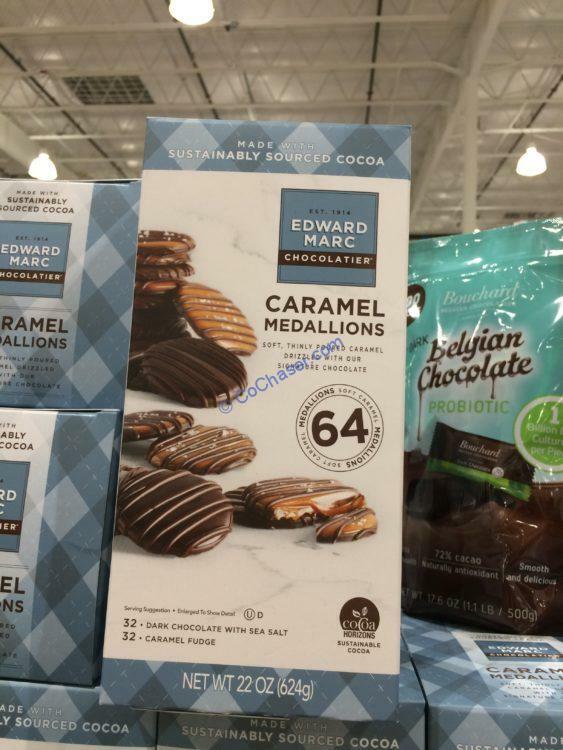 Soft, thinly poured caramel drizzled with the signature chocolate, this Edward Marc Caramel Medallions – 64 Ct bag includes: 32 Dark Chocolate with Sea Salt and 32 Caramel Fudge. It contains no artificial flavors, no preservatives. Per serving size 1.4 oz (39g), contains 150 calories. For each serving, you get 6g total fat, 4g from Saturated fat, 1g protein, 1g fiber and 15g sugars.